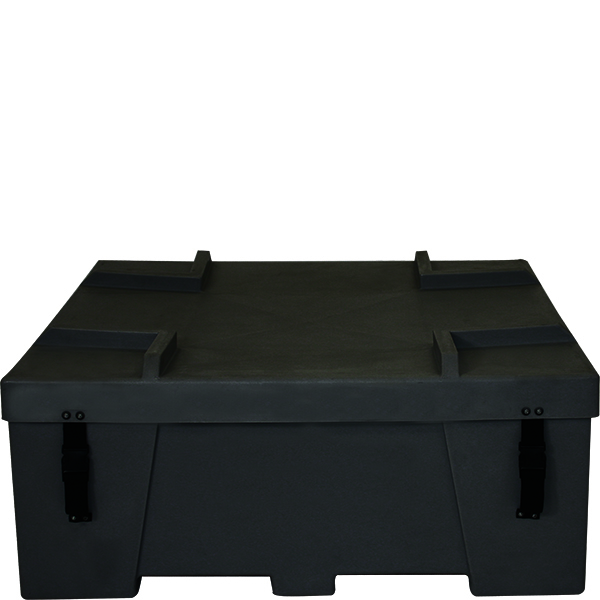 The large roto-molded freight container is stackable with heavy duty roller bearings on the bottom. Fork truck is required for stacking. Recommended for Trade Show Displays, Accessories, and exhibits. Please Call for shipping estimate, we are happy to arrange delivery.